With summer in full swing, fire ants are active in their continued expansion across the southern U.S. Fire ants are prolific invaders, and each year cause approximately $6 billion in damages throughout the U.S. Control is the best defense, and professional pest control in Fort Worth is the best means of managing a fire ant infestation. The fire ant now inhabits the southern United States, and continues to invade new regions, expanding its territory. The fire ant first entered the United States at Mobile, Ala., in 1918 aboard a cargo ship thought to be from Argentina. Since then, the infestation has reached Central Texas, southern Tennessee, and as far as North Carolina’s southern coastal plain. Not even flooding can deter fire ants. They simply form a raft by locking arms, legs, and jaws and can survive for months in this formation. The stinging pests have adapted well to life in the U.S., thriving in the climate and landscape with little or no predator, except for humans and pest control in Fort Worth. Experts initially thought the colder climates to the north and west may limit further expansion of the fire ant. Unfortunately, plant nurseries and sod farms delivering soil across the country appear to be opening new avenues of diffusion, while the pests range continues to expand despite all efforts. The fire ant lives in immense colonies that produce mounds of dirt, typically up to three feet across and as much as two feet high. Each colony has a queen, and can number up to 500,000 ants, which may include new queens. The new queens will fly to new territories where they lay about a dozen eggs and establish new colonies. The eggs hatch about 7 to 10 days later. Once the colony is established, a queen fed by worker ants may lay up to 800 eggs per day. Adults emerge within 15 days. Worker ants exhibit a range of sizes and typically live about 5 weeks, while queen ants can live 7 years or longer. Pest control in Fort Worth is the best means of controlling fire ant infestations. A fire ant colony is omnivorous, feeding on plant and animal sources alike, such as seeds, young plants, and other insects. However, fire ants can be beneficial as they feed primarily on other pests. In urban areas, fire ants feed on flea larvae, chinch bugs, cockroach eggs, ticks and other pests. Unfortunately, the ants will attack anything that inadvertently disturbs their mounds, swarming to the surface and inflicting painful stings. The can invade homes, and have been known to attack infants, and very young children as they sleep in their beds. In addition, fire ants take their toll on newborn livestock birthed on or close to a nest. When attacking, fire ants first use their mandibles to grip their prey, and then inject venom through a stinger. Fire ant stings are painful, and may be fatal to those who experience an allergic reaction. Ants can enter through tiny cracks, seeking water or food. The most common sign of an ant infestation is the observation of worker ants in the home. Fire ants in the home require immediate action, contact the Bug Dude for pest control in Fort Worth when the painful pest invades your home. Typical fire ant colonies with one queen per nest are monogyne colonies. Others can have multiple queens and are polygyne colonies. The polygyne colony is more difficult to control as a single surviving queen will ensure the colony’s survival. Polygyne colonies frequently expand with satellite mounds, which occur when some of the queens and workers create new mounds nearby. Polygyne colonies result in significantly higher mound densities per acre, and while 50 mounds per acre is typical in heavy infestations, infestations as high as 1,000 mounds per acre can occur in the southeastern United States. Effective treatment of fire ants requires professional pest control in Fort Worth. Fire ants will build mounds in almost any type of soil, but prefer open, sunny areas such as pastures, parks, lawns, and cultivated fields. New mounds can pop up almost overnight. Flooding causes colonies to leave their mounds and float until they can reach land to establish a new mound. Clean up food and drink spills, and keep food in tightly sealed containers. Do not throw kitchen waste on the lawn close to the home, as this will attract foraging ants. Fire ants can gain entry inside the homes by many means. A common site of entry is through poorly sealed windows. Fire ants can also enter through gaps, and holes for wiring, cables, ducts, and plumbing. If you are able to identify points of entry seal them tightly, or contact The Bug Dude for pest control in Fort Worth. Moisture problems caused by plumbing leaks may attract fire ants into your home, and may colonize walls, attics and other voids. Leaky outdoor faucets and roofs also attract the pests. Potted plants provide an attractive oasis for fire ants during hot, dry summers. Be especially cautious of bringing potted plants indoors, ensuring fire ants are not within the pot. Inspect other objects such as toys, before bringing them indoors. Fire ant will colonize the cavities of plastic toys, and other hollow objects. Store open bags or boxes of pet food in tightly sealed containers. Clean up uneaten food as soon as possible. Do not leave uneaten food out to avoid providing a food source for fire ants. Mulch is beneficial for plants, holding moisture in and preventing weeds. Unfortunately, mulch provides an attractive environment for fire ants as well. Talk to your expert pest control in Fort Worth about alternatives less favorable for fire ants in your area. Keep shrubbery and trees trimmed back from the home to prevent providing a “bridge” for pests to enter the home. Do-it-yourself pest control seldom succeeds in little more than a reduced number of fire ants, with new beds cropping up after treatment. Effective fire ant treatment requires professional pest control in Fort Worth. 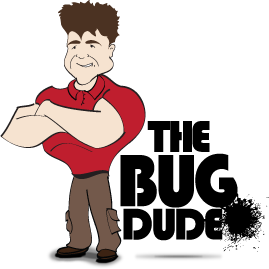 The Bug Dude can provide the treatment you require to get rid of fire ants, with professional pest control in Fort Worth. Do not suffer unwanted pests in your home or on your lawn, contact the reliable professionals at The Bug Dude to schedule effective pest control in Fort Worth. We serve Fort Worth and the surrounding areas with professional pest control services.